You can easily make a quick salad, peel AND slice carrots, and other meat and vegetables or your favorite herbs without having to pull out your heavy cutting board or other tools. 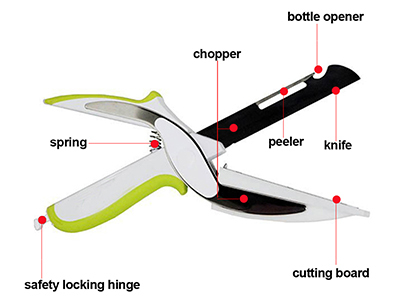 4 in 1 clever cutter-multi-functional kitchen utensil that will make your life easier, as it can be used to cut, slice, chop and even open bottles. 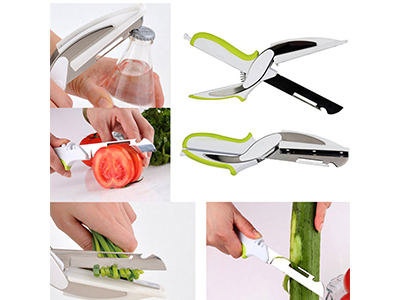 Makes Chopping All Your Favorite Foods and lightweight tasks! 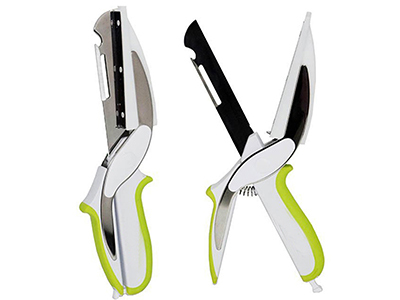 4-in-1 Knife and Cutting Board that Chops and Slices Food, open bottle, peel fruits in Second. 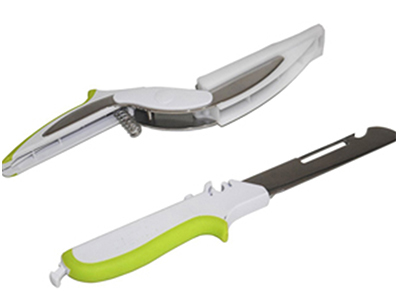 Great For Cutting/Slicing/Chopping Veggies, Fruits, Meat, Cheese, and More! use Stainless Steel for the sharp blades, which cuts any product quickly and easily. You’ll be able to cut greens, make creative food decoration for your dishes, slice any product and much more using our super kitchen tool. 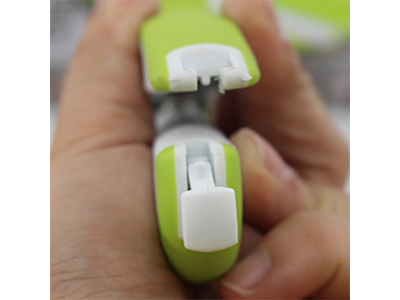 With its silicone grips, you'll never get tired of handling the cutter. Perfect knife and cutting board replacement for anyone trying to make cooking and preparing food fun, fast, easy and enjoyable. The locking safety hinge helps prevent accidental cuts and safe storing. Great to keep one in the car for camping or picnics. 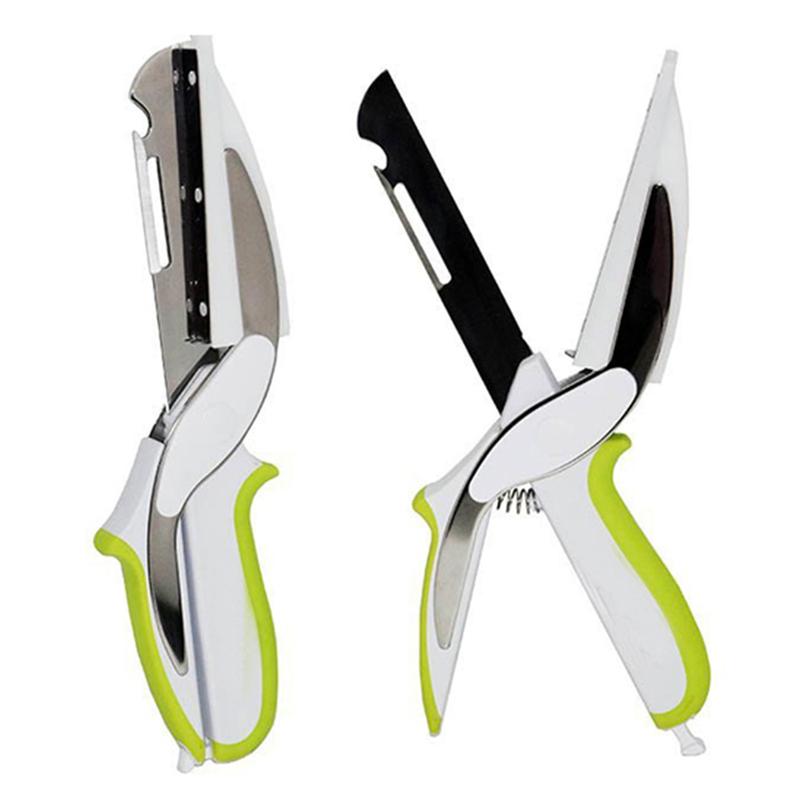 You can use it for almost everything - cutting, peeling, opening, which worked flawlessly and very smart. It works very well for things like carrots, cucumbers vegetables, fruit and boneless chicken breasts. Also a Bottle Opener for easily to open bottle. Best ideal for making salads.